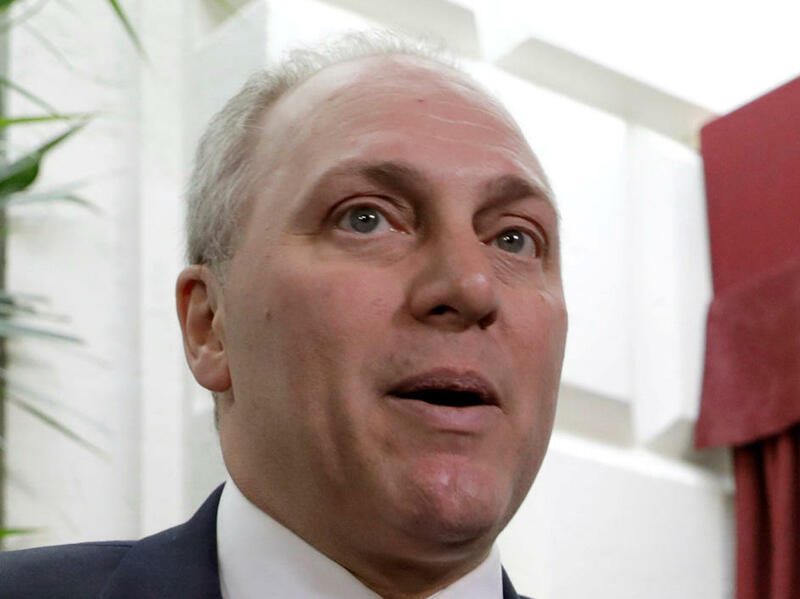 After suffering a gunshot wound to the hip during a shooting in Alexandria, Virginia in June, House Majority Whip Steve Scalise, R-Louisiana, is learning how to walk again, according to House Speaker Paul Ryan. At a CNN town hall Monday evening, Ryan said Scalise, a "very close friend", was doing better and is currently in physical therapy. "Steve got shot through the hip, he's had about ten surgeries. He's going to be able to walk. He's going to recover but it was a pretty bad shot. We almost lost him that day," Ryan said. The House speaker added that while Scalise's recovery is "going to be a while", he's doing a lot better. "He's going to walk—he's just got to relearn how to do it," Ryan said. Scalise took to Twitter after the town hall to thank Ryan and town hall moderator Jake Tapper for the "prayers and encouragement." "They're trying to keep him from his phone," Ryan said. "He's got a lot he wants to do but we want him to focus on his recovery." Ryan's comments come after Scalise called into a conference call on Monday for House Republicans focused on government funding. According to a Scalise aide on the call, he "thanked the Whip Team and Rep. Patrick McHenry for stepping up in the weeks following the shooting." Ryan said the call was "very emotional" for his House colleagues, saying most members hadn't had a chance to hear his voice. "It was extremely cathartic for all of us and our members were really relieved to hear his voice," Ryan said. While doctors say Scalise's return to work will be based on the medical staff's recommendation, the lawmaker tweeted that he looks forward to seeing his colleagues once he's able to do so. Enjoyed talking to my @HouseGOP colleagues on the phone today & look forward to seeing them all once I'm able! Scalise was discharged from a Washington hospital in late July after being gravely wounded during a GOP congressional baseball practice days before an annual charity baseball game. The Republican, however, has continued to weigh in on recent developments facing Congress and the entire political world. Scalise has tweeted his support of Sen. John McCain in his recovery from brain cancer, as well as denounce white supremacy in the wake of the Charlottesville, Virginia clashes.